Figures assembled by international real estate firm Knight Frank show that in the first quarter of this year (Q1 2017) the Thailand property market remained an island of opportunity in a region of stormy seas. Bangkok Grade-A office rental increased 3.1 per cent over Q4 2016 (QoQ), bringing year on year (YoY) prime office rental growth to 9.6 per cent… not only the best in Asean, but also the strongest growth in the greater Asia-Pacific region. 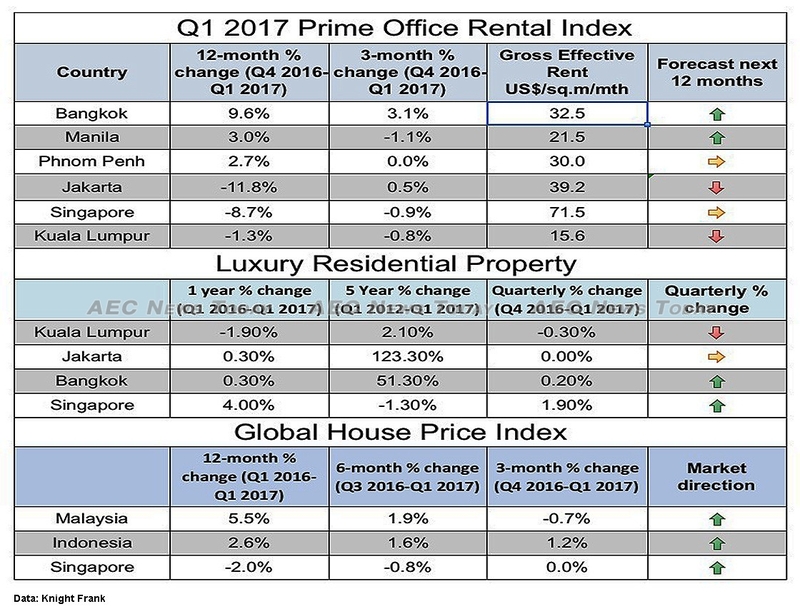 However, while effective prime office rental space is priced at about US$32.50 per sq.m/month (10.76sq.ft/ month) the price remains somewhat of a bargain when compared to Singapore where, despite a QoQ drop of -0.9 per cent and a YoY easing of -8.7 per cent, Grade-A office rental prices at the likes of Raffles Place or Marina Bay top $71 per sq.m/ month. In the Bangkok luxury residential sector though the news was not as good. 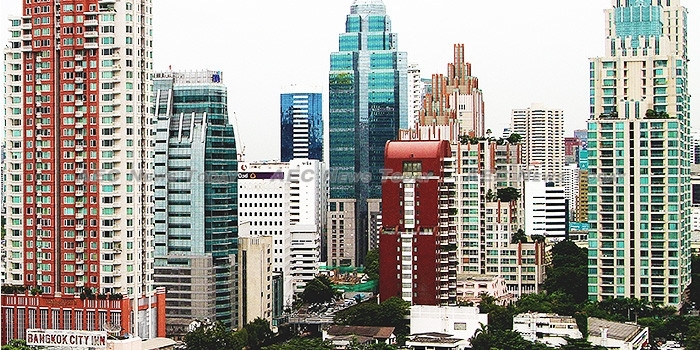 An ever increasing Bangkok supply bubble saw QoQ rentals increase by a meagre 0.2 per cent, clawing three year Q1 growth back to 10.6 per cent, and adjusting five year Q1 growth to 51.3 per cent. For the rest of the Asean property markets covered by the report the mood was fairly muted, with all but Jakarta experiencing flat or negative growth. The Indonesian capital saw a nominal 0.6 per cent QoQ increase in Grade-A office rentals, which reduced its YoY decline to -11.8 per cent. Even still, at $39.20 per sq.m/ month, Grade-A office rentals in Jakarta remain the second highest in the region. The Jakarta luxury residential sector, however, experienced no growth over the quarter to record a meagre 0.3 per cent YoY increase, dragging its five year Q1 growth back to 123.3 per cent and its three year Q1 growth to 16.5 per cent. For the lowest priced prime office rental space in the Asean property market one needs to go to Malaysia where Grade-A office rental space in Kuala Lumpur dropped -0.8 per cent QoQ to $15.60 per sq.m/month, a decline of -1.3 per cent YoY. Also showing signs of having reached its peak is the Cambodian capital of Phnom Penh, which currently resembles a giant construction zone with tower cranes dotting the skyline in every direction. While Grade-A office rental rentals remain at a healthy $30 per sq.m/per month, the regions fourth highest, the sector experienced zero growth QoQ. At 2.7 per cent YoY Q1 2017 growth the Phnom Penh property sector was the third fastest growing Asean property market, coming in only marginally behind Manila, where Grade-A property rentals grew by 3.0 per cent YoY, but contracted -1.1 per cent QoQ. Knight Frank reported prime office rental rates in the Philippines capital in Q1 2017 were $21.60 per sq.m/ month. 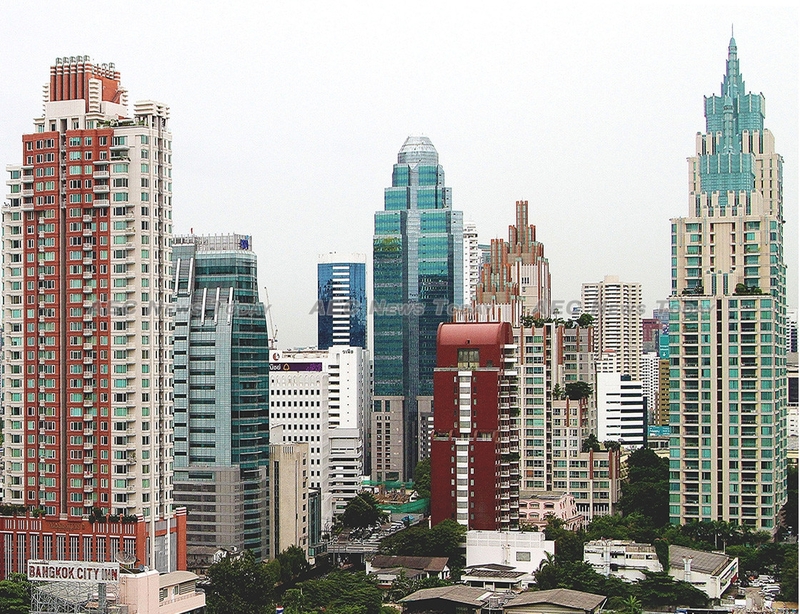 While Grade-A office rentals in Manila and Bangkok are forecast to continue increasing, the news for developers and owners in Singapore, Kuala Lumpur, Phnom Penh, or Jakarta is not so good. Worryingly for developers, but no doubt to the delight of would-be tenants, in an accompanying chart titled ‘Prime Office Rental Cycle’, Singapore and Jakarta are forecast to continue experiencing a decline in prime office rentals prices, while the Phnom Penh prime office rental market is tipped to be approaching the top of a precipice and heading in the wake being left by the Kuala Lumpur Grade-A office rental market as it plows into an abyss, with no indication of how steep the fall will be. On a brighter note the same chart forecasts prime office rental space in Manila and Bangkok to continue rising, though not at the same rate as they have recently enjoyed. In a related report on house prices in 55 countries for Q1 2017, Knight Frank reports that despite recording a -0.7 drop for the quarter, the Malaysian housing market remains the regions most robust. Ranked 32nd on its Global House Price Index Q1 2017, Malaysian housing prices are said to have increased 5.5 per cent YoY, though for the previous six months growth was somewhat subdued at just 1.9 per cent. At position number 40 Indonesia house prices reportedly grew 2.6 per cent YoY with a respectable 1.2 per cent QoQ growth pushing six month growth to 1.6 per cent. In Singapore the price of non-landed properties island-wide continued to disappoint sellers, but provided some relief to buyers, with prices declining -2.0 per cent YoY and -0.8 per cent over the last six months. On a QoQ basis Singapore house prices remained flat. 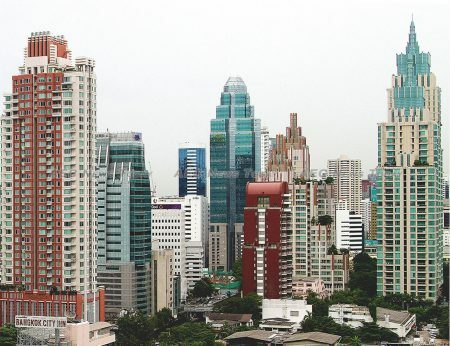 Looking ahead Nicholas Holt, Knight Frank Asia Pacific head of research, said the expectation is that Grade-A office rental prices in the Thai capital will continue increasing due to strong absorption amidst tight supply. In Manila where vacancy rates tightened by 5.35 percentage points from a year prior prime office rental space is similarly expected to continue to rise, while in Singapore and Kuala Lumpur the expectation is that significant incoming supply this year will continue to see prices ease. Headquartered in London, Knight Frank’s global network encompasses 370 offices in 55 countries employing more than more 12,000 employees. The 120-year-old company handle in excess of US$817 billion worth of commercial, agricultural and residential real estate annually. Update: This story was last updated at 07:15am on June 27, 2017: The table in the original story did not state that the gross effective rent amount displayed was in US dollars per sq.m/mth. The table has been updated.